The United States has always fancied itself a nation apart--""exceptional"" in its values, traditions, and way of life. For most of the country's history, ideas about what made America distinctive generally were framed in terms of a liberal idealism rooted in the thought of John Locke and articulated by Jefferson, Madison, and other Founders. 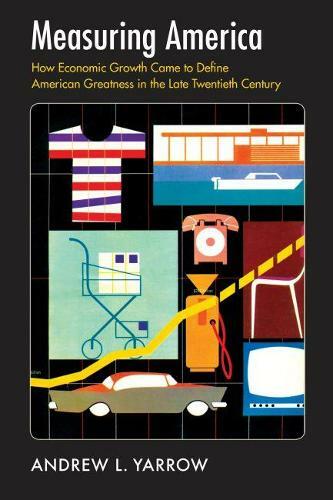 While some commentators also observed that the United States was a land of plenty, it wasn't until the mid-twentieth century that material abundance emerged as the principal standard of American ""greatness,"" as measured by a host of new economic indicators. Beginning in earnest in the wake of World War II, opinion-shapers in politics, business, academia, the media, the schools, and public diplomacy gloried in the nation's booming economy. Where ""plenty"" had once been a largely abstract concept, it was now quantifiable, thanks to new national income accounting and other economic data collection and analysis techniques. One could tally up production and consumption of an ever-expanding cornucopia of goods and services that made up the gross national product (GNP), the king of postwar statistics. American preeminence and American identity were increasingly linked with this measurable prosperity, presented in the language of a newly influential economics profession. In Measuring America, Andrew L. Yarrow explores this history, telling two parallel, interlocking stories--of how economic ideas came to have vastly greater influence on American culture after World War II, and how those ideas dovetailed with a growing belief that the meaning and value of the United States resided in its material output. How and why this new way of ""measuring America"" developed, how it was expressed, and what it has meant and means for Americans today are the subject of this well-researched and insightful book.